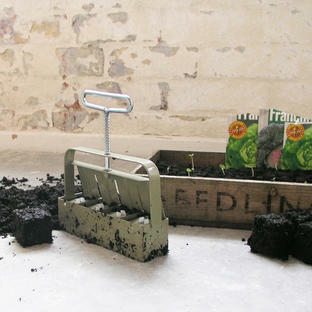 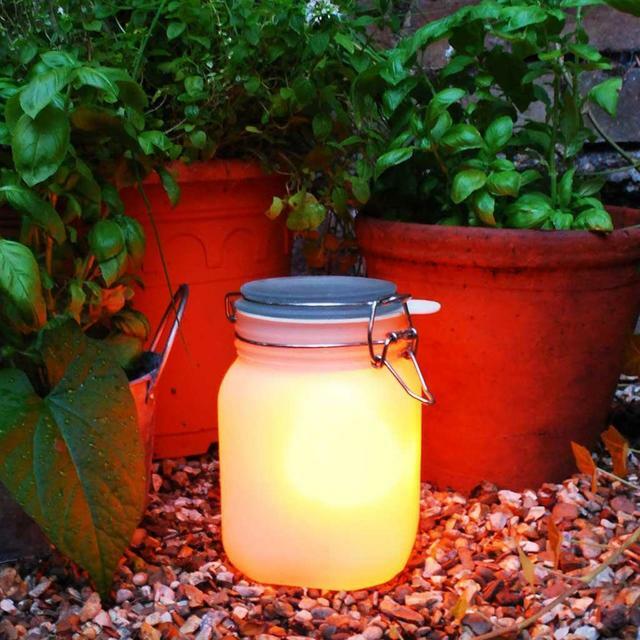 Bring sunshine to your garden, perfect for dark corners, or for alfresco entertaining. 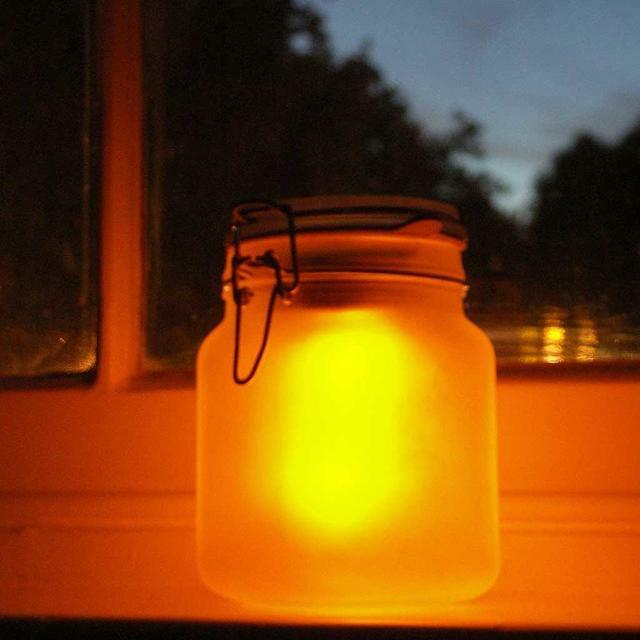 In the day, leave your Sun Jar outside, or in a sunny window, for several hours to charge; at night, it lights up automatically. 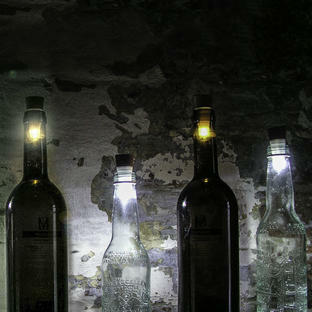 Made with a traditional Mason Jar, inside which is a highly efficient solar cell, rechargeable battery and LED lamp. 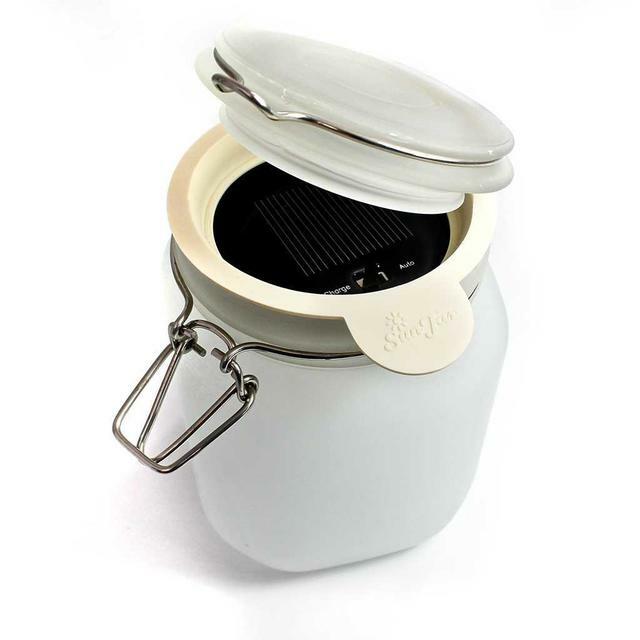 When the jar is placed in sunlight, the solar cell creates an electrical current that charges the battery over the course of the day. This energy is then used at night to power the LED lamp inside the jar. 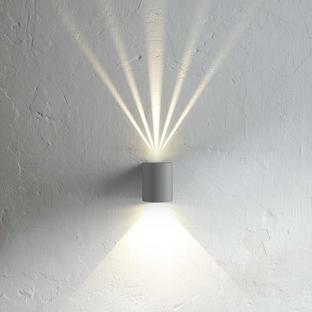 The light emitted is diffused by the frosted jar, and gives the appearance of sunlight.